Our rustic barn transforms into the perfect cocktail area for friends to relax and enjoy their time together. Your guests will admire the old farm tools on display in the large tack room. While the guests are entertained at the barn, the wedding party has time to take those very important photographs at the chapel before the wedding party’s big entrance at the pavilion. Drinks and hors d’oeuvres can be served in the barn while the guests stand around little cocktail tables. String lights in the barn ceiling give the barn a festive glow and the wrought iron chandelier adds a charming touch. Lighting is very important to setting the right atmosphere for your event. The pavilion is a 40’x60’ metal building perfectly situated between the pond and the barn. 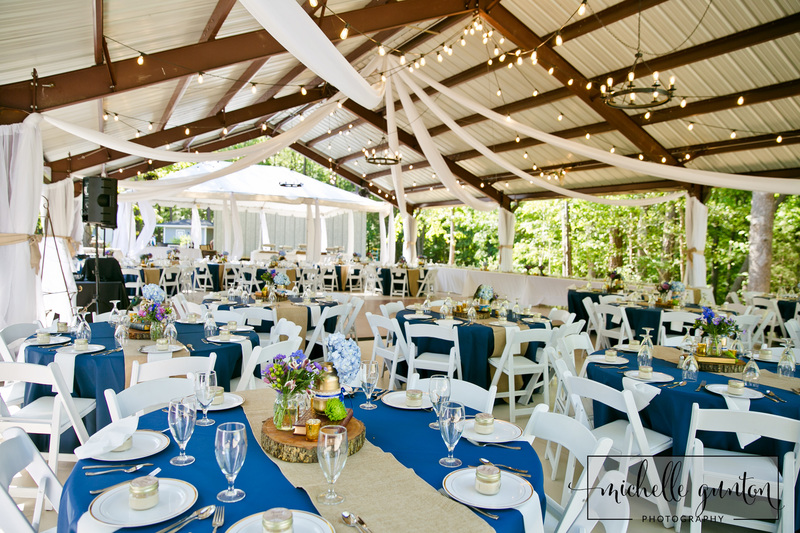 Edison-style bulb string lights and three rustic chandeliers give the pavilion the perfect ambience for your reception. The pavilion or the barn can be used for your rehearsal dinner and there is storage space in barn if needed. 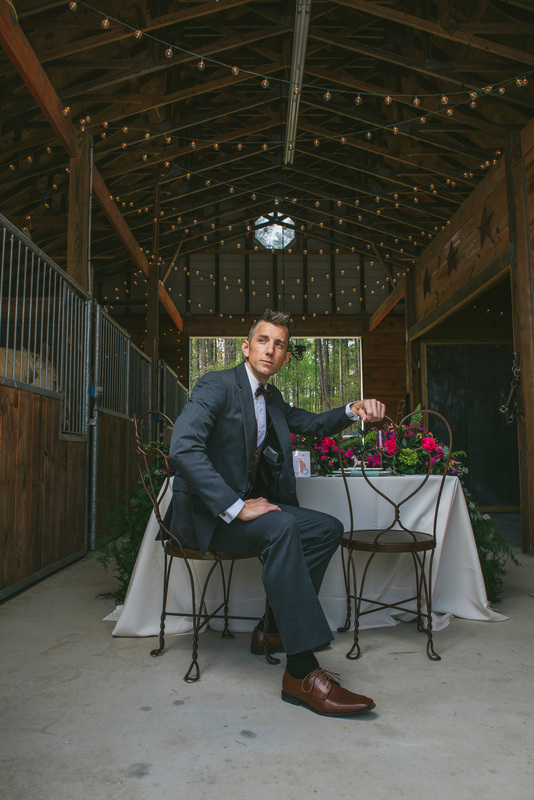 The older more rustic barn provides a wonderful backdrop for photos. This venue has numerous photo opportunities.